If you're starting to hear hissing, roaring, or chirping sounds as you age, it may not be your imagination. 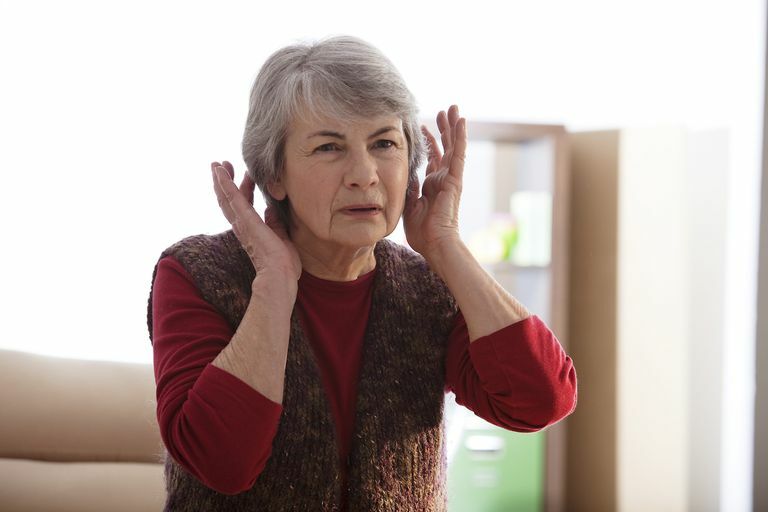 Tinnitus, commonly known as a ringing in your ears, can actually involve a wide variety of noises and is more prevalent in older people — sometimes as the first sign of age-related hearing loss, or presbycusis. How Common Is Tinnitus Among Older Adults? While there is no simple and uniform definition of tinnitus for research purposes, the US National Institute on Deafness and Other Communication Disorders (NIDCD) reports that about 10% of the adult population has some form of the condition. A 2010 study published in the International Journal of Audiology aimed to assess the incidence, citing past research suggesting as many as 20% of adults may suffer. The severity of the problem can range from merely annoying to debilitating, thanks to the anxiety, impaired concentration, and poor sleep that may result. There is currently no cure for tinnitus, though a number of new ways to administer medication, and innovative use of electrical nerve stimulation have shown promise in ongoing research. Tinnitus can involve sounds that are low-pitched, high-pitched, soft, loud, intermittent, or constant. Why Do We Hear Sounds That Aren't There? Our hearing is part of a complex auditory system that involves the ears as receivers, and the brain as an interpreter. When a sound occurs, vibrations in the inner ear travel along the auditory nerve to the brain, where the noise is processed and identified. Tinnitus — essentially hearing a non-existent sound like ringing, hissing, or clicking — indicates something has gone wrong along the auditory pathway, though the exact biological mechanism has not been established. In a 2011 study published in the journal Nature, University of Texas researchers suggested that tinnitus might be the result of the brain's over-compensating for hearing loss by becoming over-sensitive to certain sound frequencies and generating the perception of phantom sounds. A number of health conditions can result in tinnitus, including ear infections, thyroid problems, and even ear wax. In older people, the most likely causes may be high blood pressure (hypertension), cumulative damage from loud noise, or reaction to medication. Some patients with rheumatoid arthritis experience tinnitus. According to the NIDCD, more than 200 different medications are known to cause tinnitus — either upon starting the drug or after ceasing to take it. Loud noises from workplaces like factories, road construction, and active duty in the military are known to cause tinnitus, either temporarily or as a permanent condition. Rock musicians often suffer as well, thanks to the heavy amplification of their instruments. In 1988, a musician and a physician from San Francisco founded a non-profit organization, “Hearing Education and Awareness for Rockers” (HEAR), aimed at raising awareness among fans, band members, sound engineers, and members of the general public, of the risk of hearing loss and tinnitus with repeated exposure to loud music and loud noises in general. Legendary guitarist Pete Townshend of The Who is an advocate for HEAR, revealing he's suffered from tinnitus for years. A Cure for Tinnitus in the Future? In their 2011 Nature study, the University of Texas researchers reported that they were able to eliminate tinnitus in rats, using a technique called Vagus Nerve Stimulation (VNS). By stimulating the vagus nerve in the neck of rats suffering from noise-induced tinnitus, and simultaneously playing paired sounds at specific frequencies, the scientists said that they essentially "reset" the rats' brains to respond appropriately to all audible frequencies. In 2015, the team reported a case study of a 59-year-old man who'd suffered for years from tinnitus without relief from conventional therapies. After 4 weeks of daily VNS, his symptoms were much improved. The paper was published in the journal ​Otology and Neurotology. Eventually, tinnitus may be eradicated in humans using similar techniques, but until these or other methods are perfected, sufferers must settle for measures that mask (like sound generators) or distract from the phantom sounds. Counseling is also effective to help sufferers relax and sleep more easily. DM Nondahl,KJ Cruickshanks,TL Wiley, BEK Klein, R Klein, R Chappell,and TS Tweed. "The 10-year Incidence of Tinnitus Among Older Adults." Int J Audiol. 2010 August; 49(8): 580–585. De Ridder, Dirk; Kilgard, Michael; Engineer, Navzer; Vanneste, Sven. "Placebo-Controlled Vagus Nerve Stimulation Paired With Tones in a Patient With Refractory Tinnitus; A Case Report" Otology and Neurotology Volume 36(4), April 2015, p 575-580. Holmes, Susan. "The Incidence, Management, and Consequence of Tinnitus in Older Adults." Reviews in Clinical Gerontology [0959-2598]2008 vol:18 iss:04 pg:269-285. Tinnitus. US NIH National Institute on Deafness and Other Communication Disorders (NIDCD). Public Information Sheet. Tinnitus. US National Institutes of Health Medline Public Information Sheet.